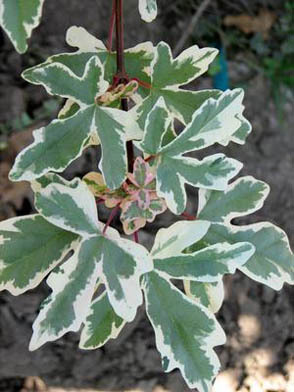 Leaves emerge in spring creamy white with pink highlights. As leaves harden off, they become green with a wide, bright white margin. Tree appears completely white from a distance. Perfect specimen for the center of a moon garden.